Farmhouse Oak Cream Painted Coffee Table with Shelf - A Brand New Design for Top Furniture. 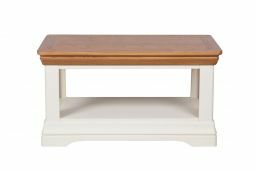 The Farmhouse Cream Painted Coffee Table with Shelf is manufactured with a sustainable American Oak top and is finished with a hard wearing oiled wax which brings out the natural beauty of the American Oak. 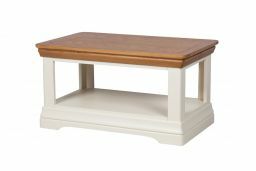 These coffee tables have a nice and chunky design with great detailing around the top and bottom. Delivered fully assembled and ready to use. 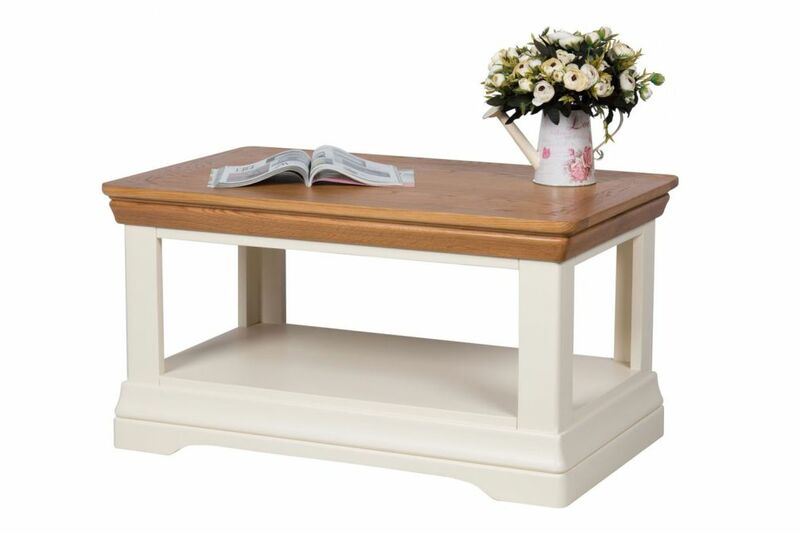 This coffee table is manufactured as part of our Farmhouse Cream Painted Range so will match the rest of the range. Absolutely thrilled with my purchase, excellent quality and looks expensive, well built, excellent value for money. Much less expensive than other similar products elsewhere. Size is not too big for smaller rooms.